On November 27, 1895, Alfred Nobel signed his third and last will at the Swedish-Norwegian Club in Paris. When it was opened and read after his death, the will caused a lot of controversy both in Sweden and internationally, as Nobel had left much of his wealth for the establishment of a prize. His family opposed the establishment of the Nobel Prize, and the prize awarders he named refused to do what he had requested in his will. It was five years before the first Nobel Prize could be awarded in 1901. 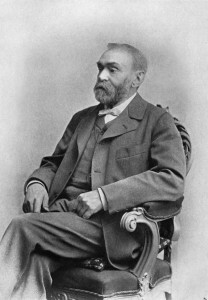 Alfred Nobel was interested in social issues and was engaged in the peace movement. His acquaintance with Bertha von Suttner (who was later awarded the 1905 Nobel Peace Prize) influenced his own views on peace. Perhaps his peace interest was also because his inventions were used in warfare and assassination attempts? Peace was the fifth and final prize area that Nobel mentioned in his will. Facts on the Nobel Peace Prize – what should you know?  The Peace Prize Laureates are announced in October every year. Earlier the same day, the members of the Norwegian Nobel Committee selects the Nobel Laureates through a majority vote. The decision is final and without appeal. The names of the Nobel Peace Prize Laureates are then announced at a press conference. The Nobel Peace Prize 2013 will be announced on Friday 11 October, 11:00 a.m. 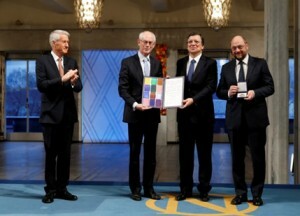 The Nobel Laureates take center stage in Stockholm on 10 December, when they receive the Nobel Medal, Nobel Diploma and a document confirming the Nobel Prize amount from King Carl XVI Gustaf of Sweden. 93 Nobel Peace Prizes have been awarded since 1901. It was not awarded on 19 occasions: in 1914-1918, 1923, 1924, 1928, 1932, 1939- 1943, 1948, 1955-1956, 1966-1967 and 1972. Why were the Peace Prizes not awarded in those years? In the statutes of the Nobel Foundation it says: “If none of the works under consideration is found to be of the importance indicated in the first paragraph, the prize money shall be reserved until the following year. If, even then, the prize cannot be awarded, the amount shall be added to the Foundation’s restricted funds.” During World War I and II, fewer Nobel Prizes were awarded. Why a Norwegian Nobel Committee for the Nobel Peace Prize? All Nobel Prizes are awarded in Stockholm, Sweden, except for the Nobel Peace Prize, which is awarded in Oslo, Norway. The founder of the Nobel Prize, Alfred Nobel, was a Swedish cosmopolitan. In his will, he declared that the Nobel Peace Prize should be awarded by a Norwegian committee. When Alfred Nobel was alive, Norway and Sweden were united under one monarch, until 1905 when Norway became an independent kingdom. Of the 100 individuals awarded the Nobel Peace Prize, 15 are women. The first time a Nobel Peace Prize was awarded to a woman was in 1905, to Bertha von Suttner.